NOTE: 662 Reynard House is no longer taking bookings. 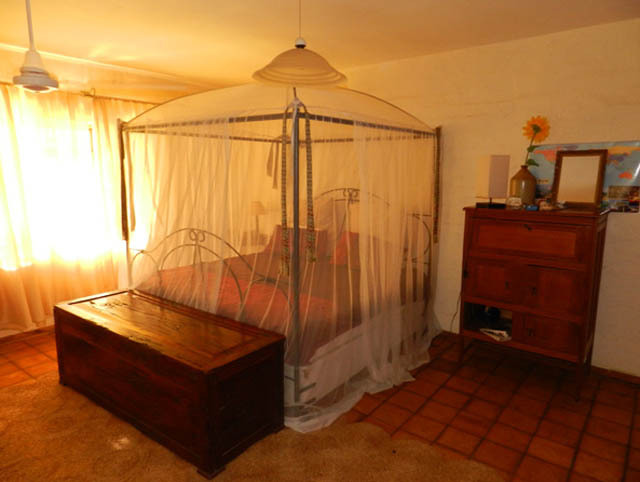 We invite you to browse alternative homestay properties or ask us for more information. 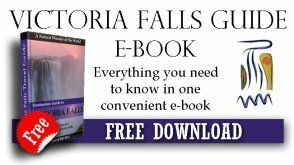 The name of the residence takes after its location which is literally at 662 Reynard Road in the quiet low density area of the Victoria Falls town, approximately 4.3km from the Victoria Falls. 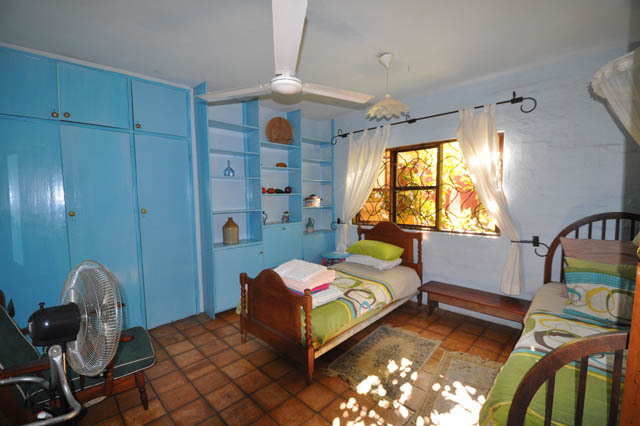 The property used to be the private home of the owner, Deborah, and has been converted into a holiday homestay, but still has a very welcoming atmosphere. The house has 4 rooms in total. Upstairs there is a twin room and a double room which share one bathroom. Downstairs there is also a twin and double room which also share a bathroom. All in all, the house has a maximum occupancy of 8 guests which makes for a special and private vacation for a family or a close group of friends. 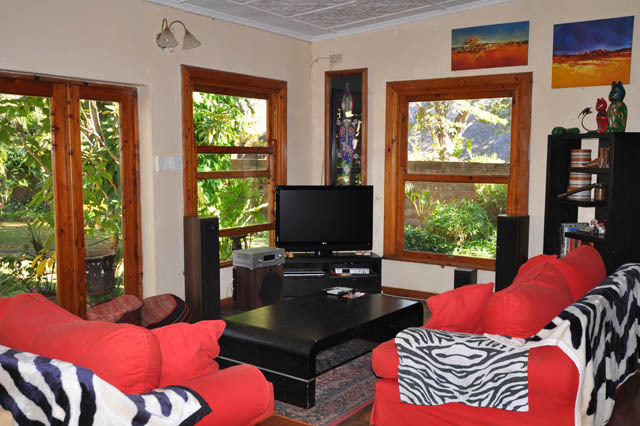 There is spacious living room with a large flat screen TV and digital satellite decoder (DSTV). Next to the lounge is the dining room which has a large family table and enough seats for eight guests. Facing the dining room is a library with a large collection of books and a place to sit while you read. 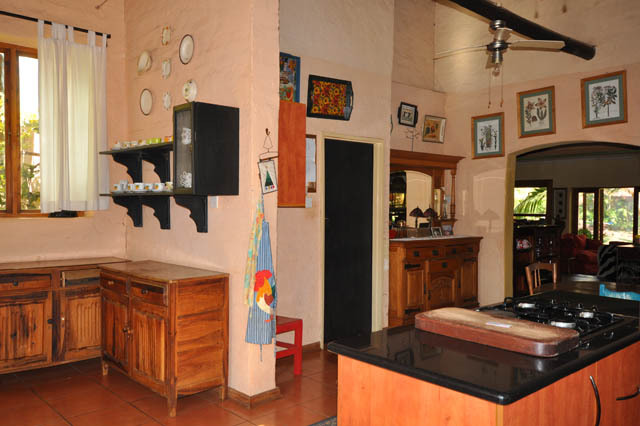 The large and roomy self-catering kitchen is located behind the dining room. 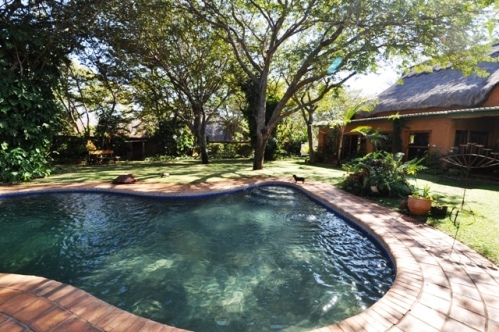 662 Reynard boasts a gorgeous green garden with a swimming pool and more than enough room for a braai (barbeque). There are seats in the outside lounge area which can also be used as poolside seats. In the front of the property, children (and adults young at heart) can have fun on the trampoline. There are not many of these "home stay" houses available in Victoria Falls and they are very popular. This large house is ideal for a family or group of friends wanting to stay together in lovely surroundings - with your own garden, pool, lounge, dining, kitchen, barbeque and entertainment area. For a group it works out much cheaper than hotel accommodation. Children welcome, no minimum age. Baby sitting service available. Transfers can be arranged from Victoria Falls, Livingstone or Kasane Airports to Reynard House. Contact us for assistance.